Telugu Desam Party and YSR Congress Party workers have clashed with each other in various places of Andhra Pradesh. 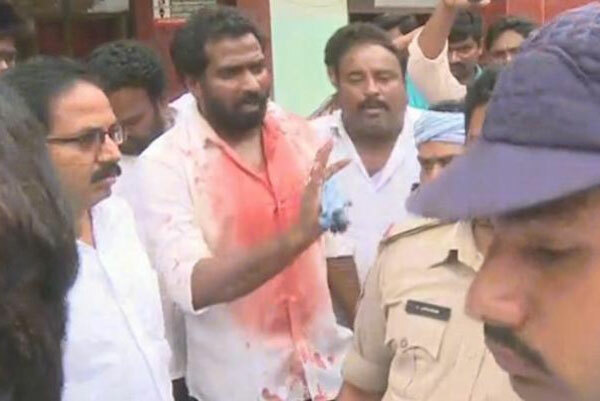 Tdp minister Akhila Priya Bhuma’s husband Bhargav and sister Mounika were injured in a violent clash between Tdp and YSRCP workers in Ahobilam. She is seeking re-election from Allagadda Assembly constituency. Two women were reportedly hurt and polling equipment was destroyed in Srinivasapuram village in Guntur's Gurazala mandal in one such case of violence. In another scuffle in Gudemcheruvu village in Jammalamadugu in Kadapa district, a YSRCP worker was injured. In a stone-pelting incident between the opposing party workers in Ponnathota of the same mandal, a few people were injured. Similar incident is reported in Mydukur constituency.